People unconsciously become convinced that moods get results. Act out, act up, be unwilling to compromise or meet halfway, these are the tactics of children. Are you wearing a scowl face in an attempt to create change? Sometimes children get their way with the scowl, arms crossed, and foot stomping. In the workplace, this still brings people to action, sometimes. If it is the boss, there may be a good chance. Scowl face sometimes feels appropriate, but it likely never is. The impression created from childhood that this is the way for change is not so realistic in the grown-up world. Largely, people are change adverse by nature. Change makes them feel uneasy, nervous, and afraid. It isn’t the way it was always done, it’s not the tried and true method. Change has failed before, the thought is, it will continue. When we understand that people don’t like change, we can also understand that the change being sought may not be personal. Changing the process, doesn’t mean it is a personal attack. A change to better connect with customers, it isn’t personal. Rearranging teams, employees, and altering policies, it probably isn’t personal. If we are leading change, or are a part of the change, or both, we’re not going to get very far with a scowl face. It may send a message, but it is the wrong message. It may create short-term action, but the long-term consequences are undesirable. 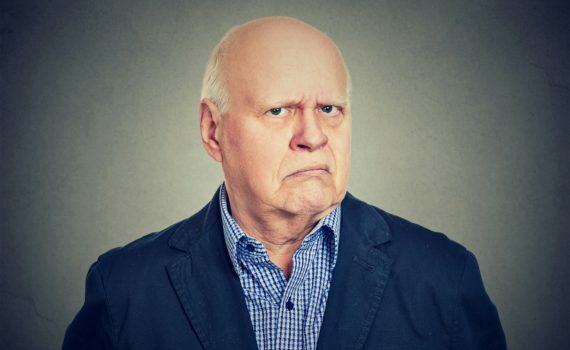 In the workplace, for the employees, for the groups, departments, and teams, don’t try scowl face. If you’re going to create the kind of change you need, you’re going to need everyone on board. Creating action is sometimes the biggest illusion that you are creating the change you need.